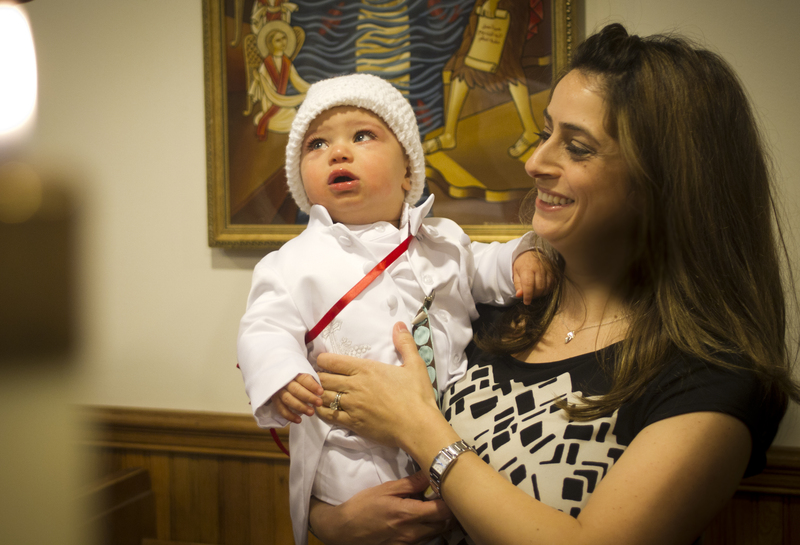 My Chicano Lawyer.com: Coptic Baptism anyone? 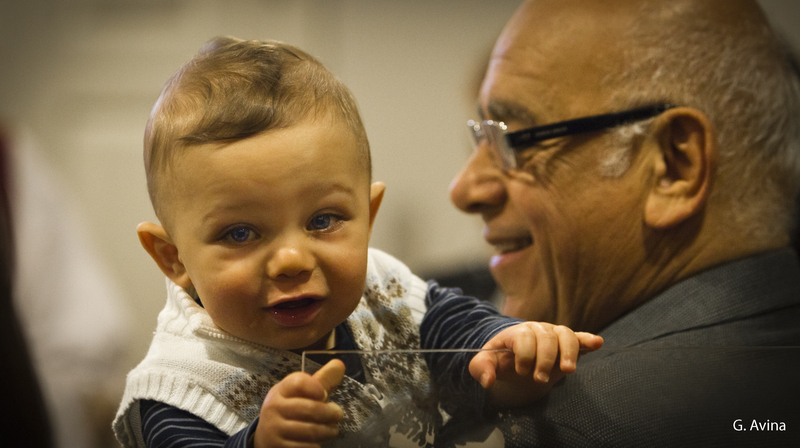 This past weekend I was fortunate enough to photograph and film the baptism of my good friend Sherif's son, Ramsey. Since I haven't been to a baptism since my own, I jumped at the chance. Preparing for it, I knew I would get no second takes. 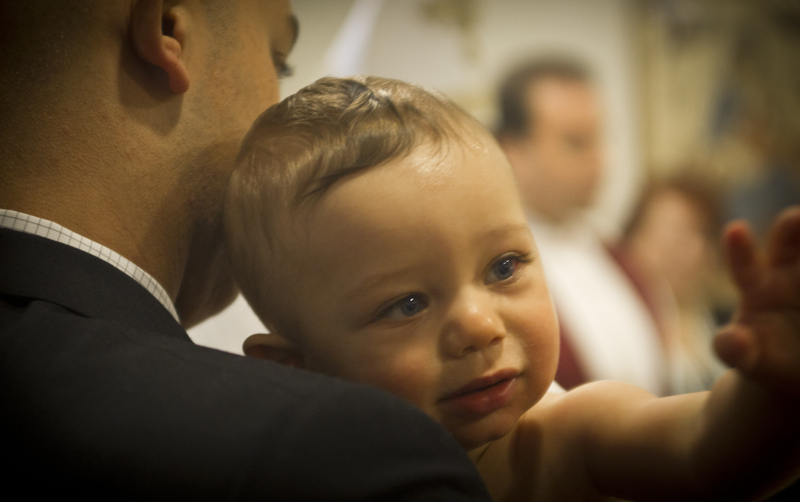 It would be totally up to me to catch all the moments that people expect at a baptism. Also, I wanted to pack as light as possible. Thus, I took three lenses only. The Canon EF 70-200mm IS f2.8, the Tokina 28-70mm f2.8 and the Sigma 17-35mm 2.8-3.5. Overall, I was reminded how much I love the 70-200mm lens. It is the holy grail. It is worth every penny I overpaid for it. The Tokina also is great. Not as sharp as the 70-200mm, but still very versatile. As for the Sigma 17-35mm, it is a mixed blessing of a lens. I love the ability of getting a 17mm wide angle shot, but it took several attempts to get it sharp and in focus. It definitely is a lens for wide angle wild life. Not Coptic Baptisms. Above is Ramsey and my friend's father. And below is Ramsey and her happy mom. Here's another shot of Ramsey. And here's the Kodak moment. Well, actually considering Kodak's recent declining market share, here's the Nikon moment? Or Canon moment? Sony? Anyway, look how happy everyone looks. You wouldn't guess, a few minutes ago Ramsey wailed to previously impossible sonic levels. It was loud. Here's a wider shot with the Coptic priest. And finally, the proud father. You really captured some beautiful pics, can't wait to see the rest. Thank you in advance!